Students from SRM University AP- Amaravati’s Next Tech Lab have been declared the champions of the Indian Game Development challenge (IDGC) 2018. 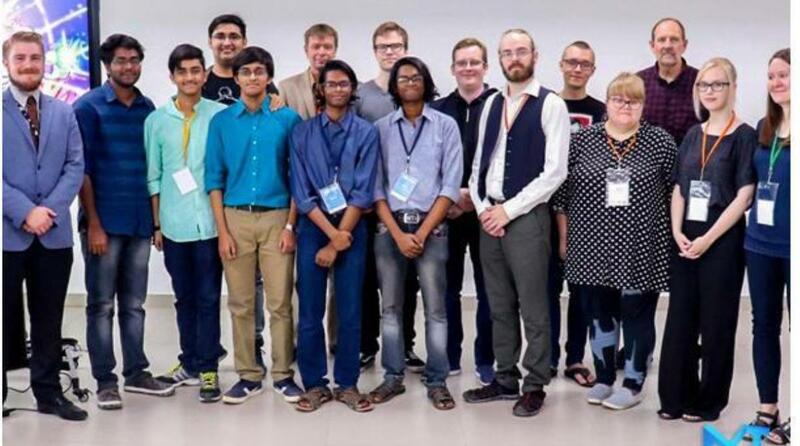 The winning team “Incendium”, comprising Saptarshi Mazumder, Rajarshi Mazumder, Koushik Bhargav, Aneek Banerjee, Saurav Raj and Saurabh Ghanekar secured the top position in the IGDC organised by Kajaani University of Applied Sciences (KAMK Finland) and APSSDC along with SRM University – AP, Amaravati. Team Incendium was selected among 46+ teams and 500+ participants. They will now present their game at the SLUSH conference 2018 in Helsinki, Finland. SLUSH, one of the largest startup conferences in the world is where high profile dignitaries from the biggest companies and startups in the world showcase their products and look for potential investors. “We are very proud of the achievements of our young students. The Next Tech Lab is an initiative at SRM University wherein the members’ research in the cutting edge technologies, especially fields such as Augmented/Virtual Reality, Artificial Intelligence and Blockchains”, says Prof. D. Narayana Rao, Pro. Vice-chancellor, SRM University – AP, Amaravati. The team developed an infinite runner game Time Track, featuring Clara, the protagonist who desired to see the end of the world, breaks up her time machine messing her time continuum, landing her in the Stone Age. The objective of the game is to help Clara dodge the obstacles and gather enough collectables in her way to open a time portal that takes her to the next stage of human evolution. During this adventure, she travels through the Stone Age, the Medieval Age, the Modern Age, the Post-Modern Age and the Apocalyptic Age with an unlockable world, the Jurassic Age.